Home / News / Follow the money! Along with many others we were called “naysayers” by certain quarters of the Macclesfield and Cheshire East establishment when we challenged the wisdom of Macclesfield’s shockingly bad redevelopment scheme. Several more schemes followed – all doomed to failure from the start – not only being badly designed but poorly thought out. For some unknown reason several of the members of staff of Cheshire East’s planning department were so anxious to gain public approval for the original Wilson-Bowden scheme they even gave up a weekend in an attempt to convince those visiting the town that their plans were in the best interests of the town. At the time I had to question whether this was an exercise motivated more by their own best interests. 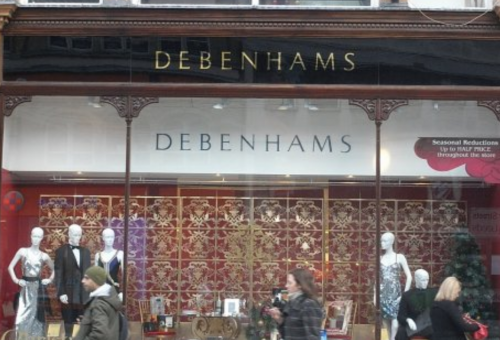 This was the retail Goliath which these same people were extolling the virtues of when everyone else appeared to understand the writing was on the wall for Debenhams in particular and retail in general. Had the development gone ahead the developers would have simply pocketed their cash and moved on – to convincing their next victims of the need to compete with ‘newly-redeveloped’ Macclesfield; the planners moved on to pastures new where their record of failure were lost in the mists of time – and our town would have been torn apart even more and left with a £100+ million white elephant. If ever anyone tells you that something is in your best interest or the towns best interest or the country’s best interest – just follow the money!